Traffic got worse. Rents soared out of control and the rains never came. Except at Food Runners where volunteers brave traffic with a smile, there is no rent and it positively rained food all year long. 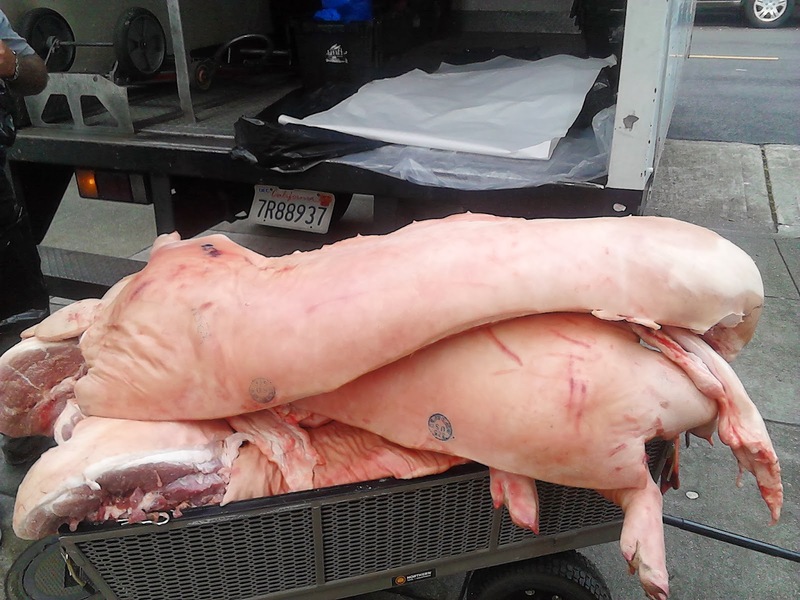 Check out Food Runners top ten highlights from 2013. 8) EARL OF SANDWICH 2: “Did you say 2,500?” Food Runners asked. “Yep,” answered Chef Lance at Twitter. In July, Twitter held an in-house community service event resulting in 2,500 freshly made peanut butter and jelly sandwiches. Food Runners volunteers pick up them up for delivery to multiple agencies feeding the hungry including: Martin DePorres, City Team, New Door Ventures, BAART SOMA, BAART Tenderloin, and Larkin Street Youth Services. Just another beautiful day in a beautiful city full of beautiful people who care, like Food Runners volunteers. 6) OLE! : The throng parted as Euna’s car crept toward the first leftovers pick up station at the La Cocina Street Food Festival in August. “Wow,” Euna exclaimed after stopping at all four stations and filling her car to bursting. “I never expected there would be this much food! I can’t think of a better way to spend a Saturday night than doing a food run.” And it wasn't over. 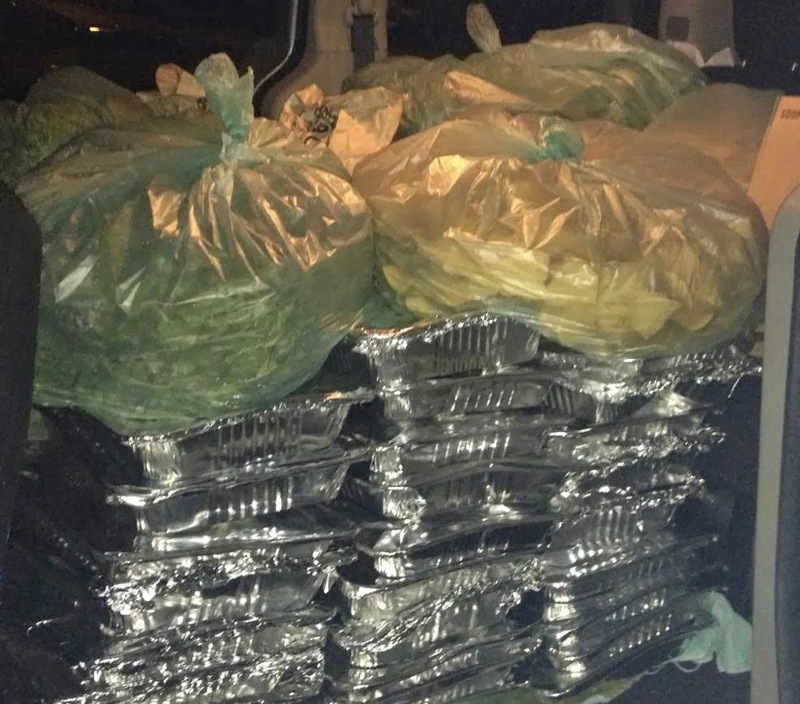 Food Runners returned to the La Cocina kitchen the next day for two more complete car loads of amazing food. 5) MARKETING GENIUS: The first donation consisted of 100 pounds of velvety, blushing apricots. Since August, whenever they find themselves with excess food, instead of composting it, both Bi Rite Market stores have been calling Food Runners. Food Runners volunteers love going to Bi Rite. The donations are exquisite, from items like cases of hand crafted focaccia, to still crisp leafy greens, to fantastic pre-pack, deli sides of which Bi Rite donated 300+ the day after Thanksgiving. 4) SAILING, SAILING... : Sleek, majestic and oh, so fast! Taller than tall sail boats heeled gracefully to the west wind. The America’s Cup was in town. From June through mid-October, Levy's Restaurant, the company chosen by the America's Cup to handle food, donated hundreds of pounds of excess food at a clip following. Food Runners saw to it that the donations got to San Franciscans who needed them most. 3) NEW BLOOD: Food Runners is so proud of three new agencies, based on the Food Runners model, that opened around the Bay area since June. They are: White Pony Express serving the Contra Costa area. Peninsula Food Runners serving the greater Peninsula and ExtraFood serving Marin County. 2) TECH EXPLOSION: It's no secret that San Francisco is Mecca for start-ups and tech companies. Most of the tech companies routinely serve in-house catered meals to their employees. Those meals routinely generate leftovers. Lots of leftovers. Food Runners currently boasts over 100 tech companies on the donations roster with more than 50 of those companies donating on a regular basis. 1) PEDAL PUSHER: Pick up by car in SOMA, at rush hour??? Hardly an exciting proposition even for the most dedicated Food Runners volunteers. In order to meet the ever growing demand for tech company lunch leftover pick ups, which occur almost exclusively in the most heavily traveled parts of town at peak traffic hours, Food Runners employed a regular bicycle courier. 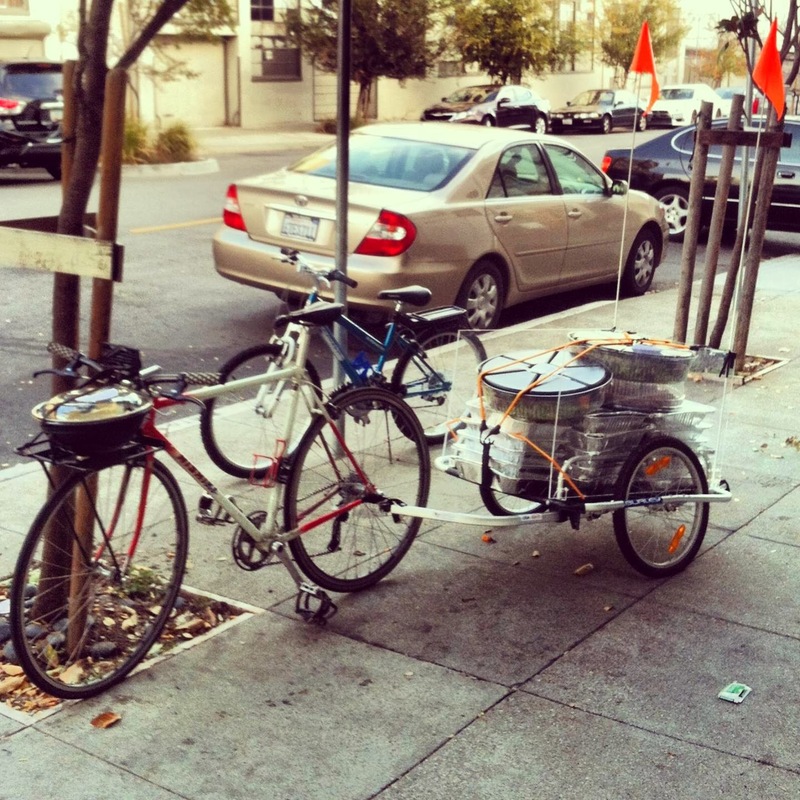 Since the beginning of December, with legs pumping like pistons, the Food Runners cargo bike courier cuts a slow and steady swath through SOMA’s most congested areas on weekday afternoons between 2-6PM. 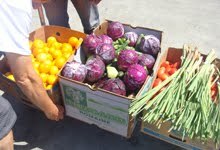 The courier has increased Food Runners deliveries to San Franciscans in need by approximately 1,000 pounds per week! More people in need getting more food. What a fantastic finish to 2013! It's a new year! Remember to spread the word that Food Runners is always looking for more food. Tell your local restaurants, grocery stores, bakeries and other businesses that they never have to throw away or compost good, edible food. Food Runners is just a phone call away at 415-929-1866. And don't forget to tell your friends that they can help too by becoming a Food Runners volunteer or by making a monetary donation to Food Runners. Giving back never felt so good!